In December 2011, Transport for London discontinued regular weekday District line tube services to Kensington (Olympia). In doing so, not only did they deprive a substantial number of people (far highter than their woefully inaccurate data suggested) of a vital service, but most importantly closed the only viable public transport link for disabled people in the local area. The paltry dividend for axing an entire tube service was five (yes only five) extra trains a day on the Wimbledon branch of the District line. Poor exchange indeed, and I think even Greg Hands MP, the chief proponent of the closure, would have to agree a mere scratch on the surface to reducing congestion. As predicted, none of the options used by TfL to justify the closure have proved adequate alternatives in practice. West Brompton is simply too busy to change from the Overground (and not accessible to disabled people), local buses don't follow useful routes and get snarled up in Hammersmith and on Kensington High Street. The only thing to do is walk - and walk a lot further than for the 10 minutes TfL suggested! TfL have, it appears, bowed to pressure from residents, local councils and MP to respect the public's right of access across Olympia station's footbridge. TfL would have been acting illegally in implementing their original ticket barrier plans. But great news nonetheless. Who am I? My name is Brendan McGrath and at the time of the closure I was a local resident and regular user of the Olympia Underground service. 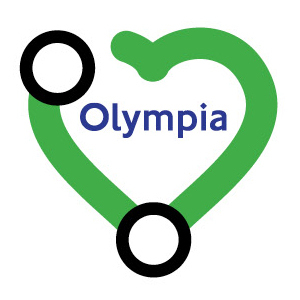 Partly because of the closure, my family and I have moved a little further away, but we are still daily users of Olympia station. Whilst the Overground serves us and many others well, the lack of connections to the Underground network is all too evident - particularly for those less mobile. I remain a committed supporter for the reinstatement of the District line service, and will continue to stick out against the cavalier attitudes of TfL, as exemplified by their recent attempt to deny lawful public access accross the footbridge at the station. Sadly, it is evident by the intransigence of TfL, even in the face of considerable public pressure, that the closure is not going to be reversed in the short term. As such, I have had to slim down this site and I have incorporated it into the site of my company BMcG Creative.